When the Fermi National Accelerator Laboratory was built outside Batavia, Illinois, in the 1960s, a river of top scientists from around the world poured into the sleepy, two-stoplight town. The rural town’s transformation into a scientific beehive by the premier particle physics laboratory had a dramatic impact on the life and thinking of a young resident named Cheryl. 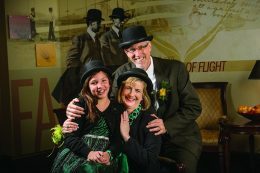 Today, Cheryl B. Schrader, Ph.D., is an acclaimed engineer and the new president of Wright State University, the school’s first female president in its 50-year history. Peeking out from the bookcase in Schrader’s office is a wooden hedgehog. It reminds her of the Hedgehog Concept, which represents singleness of purpose. Taken from a principle in Jim Collins’ book Good to Great: Why Some Companies Make the Leap…And Others Don’t, the hedgehog illustrates the intersection of what you are passionate about, what you can be best at, and what drives your economic engine. The early days in Batavia molded Schrader. The construction of Fermilab and the influx of scientists and their families had Schrader making friends with children from other cultures. She also spent carefree summers with her grandparents and extended family in southern California. Those early experiences exposed her to different perspectives and diversity of thought, which later would become hallmarks of her leadership style. The close-knit family—her father, a pastor; her mother, a stay-at-home mom initially; older brother, Robert; and younger sister, Tami—moved to nearby Park Ridge. There, Schrader attended the nation’s top college prep school. She thrived, taking advantage of the diverse curriculum and advanced placement courses. And she loved playing the trumpet in seven school ensembles. When she told her father that she wanted to become a math teacher—a bold choice since she had only seen male math teachers—he encouraged her to think more broadly. “As a girl, I didn’t know I could move beyond these careers because there were few female role models,” she explained. After discussing what she was passionate about, her father suggested engineering. This pivotal moment was one in a series of events that would emblazon the importance of role models on her psyche. Schrader’s husband, Jeff, served for many years in the legal profession. The couple have a son, Andrew, pursuing a Ph.D. in mechanical engineering at Georgia Tech, and a daughter, Ella, in elementary school. Music is a big part of the Schrader household, as they all play instruments and sing: Schrader and Jeff, trumpet; Andrew, violin and banjo; and Ella, ukulele and piano. Schrader, Jeff, and Ella all sang with choirs in Missouri, and Ella recently auditioned for and joined the Kettering Children’s Choir Chorale. After deciding on electrical engineering, she chose Valparaiso University partially because of its nationally known Honors College. It provided her with a foundation in her beloved liberal arts, thus balancing her engineering education and enabling her to interact closely with fellow honors students from every discipline. She purposefully joined a sorority, Gamma Phi Beta, because she had few women in her classes. The leader in her began to emerge. As a female undergraduate engineering student in a college with no female engineering faculty, Schrader never considered academia as a profession. But a male engineering professor opened her eyes to that possibility…and the importance of mentorship. Schrader met her husband, Jeff, on a blind date while they were sophomores. But it’s not what you think. She called Jeff, whom she had never met, to set him up on a blind date with her sorority little sister. He agreed, so they double dated. Two years later, Schrader and Jeff re-connected and began dating. 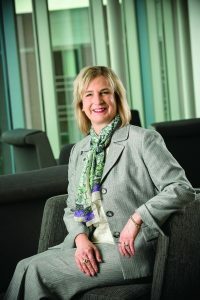 Schrader received her bachelor’s degree in electrical engineering from Valparaiso, and her master’s and Ph.D. in electrical engineering from the University of Notre Dame. 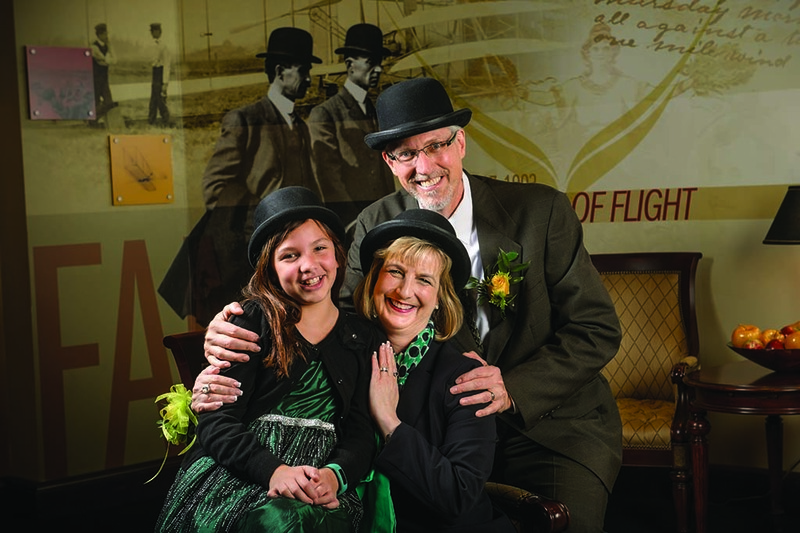 As a systems engineer, Schrader brings a different perspective to Wright State. “You are able to see the big picture and understand the complexity of an institution,” she said. Schrader secured her first formal leadership role at the University of Texas at San Antonio simply because she asked. Although an assistant and then associate professor, she took a courageous step by asking an inspiring female associate provost, Brenda Claiborne, Ph.D., to be her mentor. Shocked at first, Claiborne created opportunities in the provost’s office and even challenged Schrader to recruit graduate students university-wide. Schrader relished the added responsibilities and took control of her own career. Prior to joining Wright State, Schrader served as the first female chancellor of Missouri University of Science and Technology for five years. 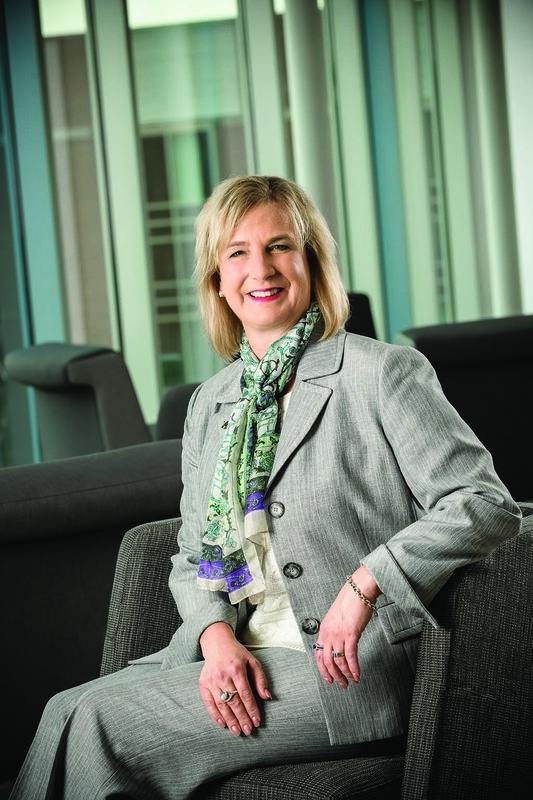 Before that, she served as associate vice president for strategic research initiatives and dean of the College of Engineering at Boise State University. She also held academic positions at Rice University and the University of Texas at San Antonio. Her classroom experience includes teaching and developing courses and academic programs in the Department of Electrical and Computer Engineering at Boise State, biomedical engineering at the University of Texas Health Science Center at San Antonio and The University of Texas at San Antonio Joint Graduate Program, and in the Department of Electrical Engineering at Texas at San Antonio. She interned at the McDonnell Douglas Astronautics Company in Huntington Beach, California. She has authored more than 100 publications in the areas of systems and control, robotics, and intelligent systems, with biomedical, networking, and aircraft applications. Her funding exceeds $11 million. Schrader has pledged to take Wright State to new heights while being committed to financial sustainability, administrative transparency, and campus communication. Program prioritization, both academic and non-academic, is part of her plan. She will continue to meet with units across campus and is forming a President’s Advisory Council made up of students, faculty, staff, alumni, and administration to foster open dialogue. She met with leaders from partner universities and is focusing on external community partners, as well. She brings a track record of developing partnerships, especially with military and health care entities. Schrader has broken glass ceilings at each institution. She goes to great lengths to promote science, technology, engineering, and math (STEM) education and increase female and underrepresented minorities. She even boarded a Naval jet and landed on an aircraft carrier—tail hook and all—to dialogue with national leaders about STEM education and the critical importance of broadening participation. Of the many honors she has received, none mean more than the Presidential Award for Excellence in Science, Mathematics, and Engineering Mentoring, which was presented to her by President George W. Bush for her accomplishments in encouraging and supporting underrepresented groups in the engineering field. She was touched that former students and faculty she had mentored from across the country nominated her. The recognition also included involvement with the Institute of Electrical and Electronics Engineers Control Systems Society. There, she served as president and helped create a standing committee on women, called Women in Control, that is a model for other international and professional organizations. This year, the American Society for Engineering Education named her a Fellow for outstanding contributions to the field.